This guide covers a varied landscape area that is accessible to the highly populated Central Lowlands of Scotland, including the great cities of Glasgow and Edinburgh. Human endeavour, coupled with a proud colourful heritage, is evident everywhere, in the pretty and historic coastal towns such as St Andrews, in the rolling Lomond Hills and scenic Loch Leven, and, moving further north towards the higher ground, in the mountainous areas around Pitlochry, where the autumn colours have to be seen to be believed. Visits to the area are addictive, causing many to return again and again to the ancient "kingdoms" of Fife and Perth, legendary birthplace of the heartland of Scotland, for further exploration and pleasure. A walking guide to St Andrews and the East Neuk of Fife. 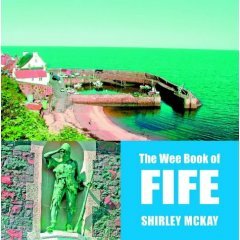 The Wee Book of Fife offers the photographer picturesque old fishing villages like Elie, St Monance, Pittenweem, Anstruther and Crail, it would be sheer paradise but theres so much more to it than that. Theres the historic town of Dunfermline with its magnificent Abbey the site of Robert the Bruces burial. Formerly Scotlands capital and the place where the king in Sir Patrick Spenss poem famously drank the bluid-red wine, Dunfermline is the birthplace of philanthropist Andrew Carnegie and has one of Britains most beautiful public parks Pittencrief Park. Situated a few miles south-west of Dunfermline is Culross. Here, amongst the narrow cobbled streets and the houses with their crow-stepped roofs and distinctive pantiles, youll find yourself transported back to the sixteenth century. To the east is Fifes most industrial town, Kirkcaldy, and further round the coast is St Andrews, the home of golf. Scotlands oldest university, currently the place of study for a certain William Windsor, was founded here in 1413. And the beaches at St Andrews and Burntisland are justly recognised as two of Scotlands top beaches. 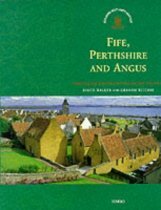 So, whether you live here or are just passing through, The Wee Book of Fife is the perfect memento of a unique area. Shirley McKay has a first class degree in English and linguistics from the University of St Andrews. She stays in the historic Fife fishing village of Crail with her husband and two children where she works as a freelance proof-reader. She is currently engaged in writing a murder mystery novel set in St Andrews during the reign of James VI. 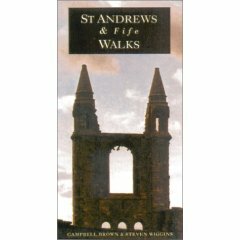 This volume details skilfully carved Pictish cross-slabs, great abbeys and castles, and the imposing cathedrals of Arbroath and St Andrews, together with the Royal Palace of Falkland. Examples of rural architecture are also documented.